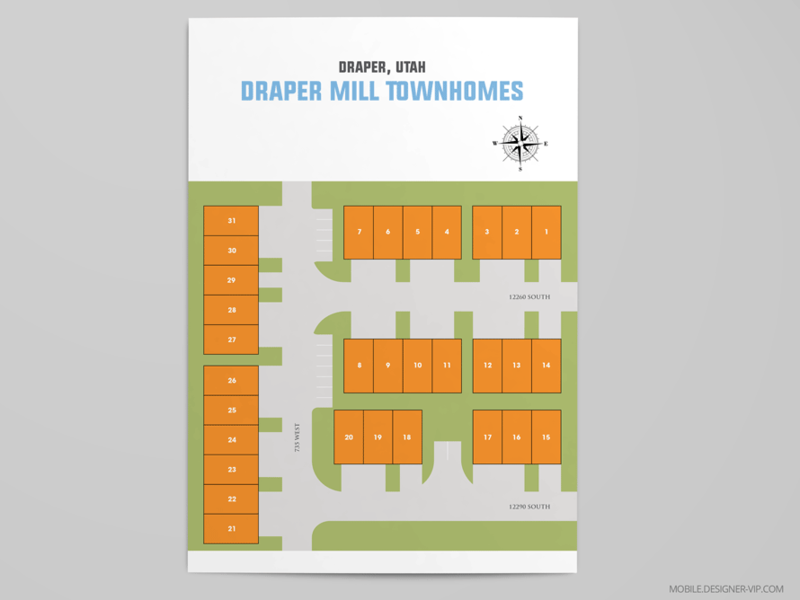 Design plat layout map for Draper Mill. I’ve got another plat map ready. So I need to design again a neighborhood site plan for marketing purposes as previous but with new branded colors including “Orange”. I have a sent you subdivision CAD file and color guide for reference. LOCATION: Draper Mill is located in Draper, Utah. Created high quality vector plat map in Illustrator format (Ai, eps, pdf) for a company with turn round – ~2 days. 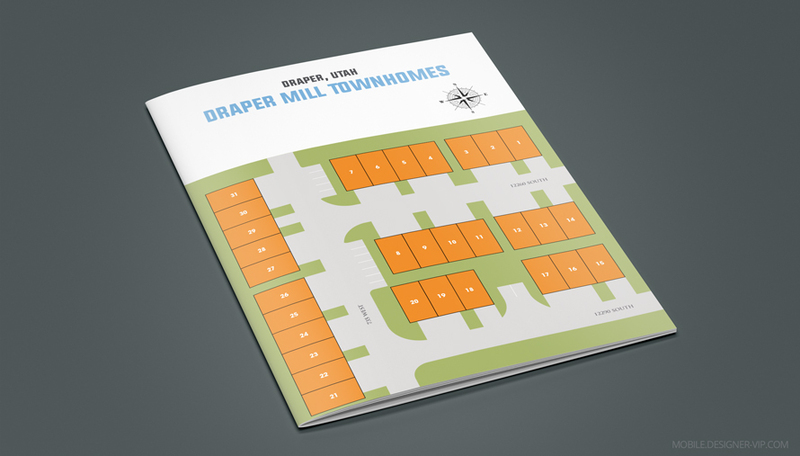 If you need a property map designed for your company our studio can help.